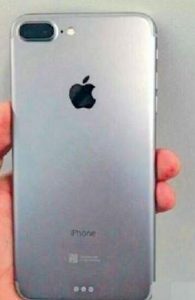 Apple iPhone 7:Compilation Of All Leaks & Rumors Till Now: It’s about going another year that Cupertino giant’s launch its new flagship many rumors going around what should happens in coming new iPhone many things were there like minor design change and internal increment nut Apple has to get top notch specs out there were many competitions around. 1). No headphone jack – Many leaks confirms no headphone jack in new iPhone. Since headphone jack is so major thing which is 40 year old innovation still running in today’s world. But question arises we need a headphone jack most of us say yes or no because many of had a headphone with 3.5mm jack not with the lighting connector which more costlier than 3.5mm jack headphone. But Apple had to take this tough decision to remove or to keep but it remove so what’s next Bluetooth headphone or lightning connector headphone. Decision will be tough by removing headphone jack apple can slim the phone size. Many case leaks also proves it. But what if a person to listen music and want to charge a phone? 2). Battery life – Since battery is most significant issue that Apple lineup always face have low give upto 3-4 hours backup of iPhone 6 and 6s. 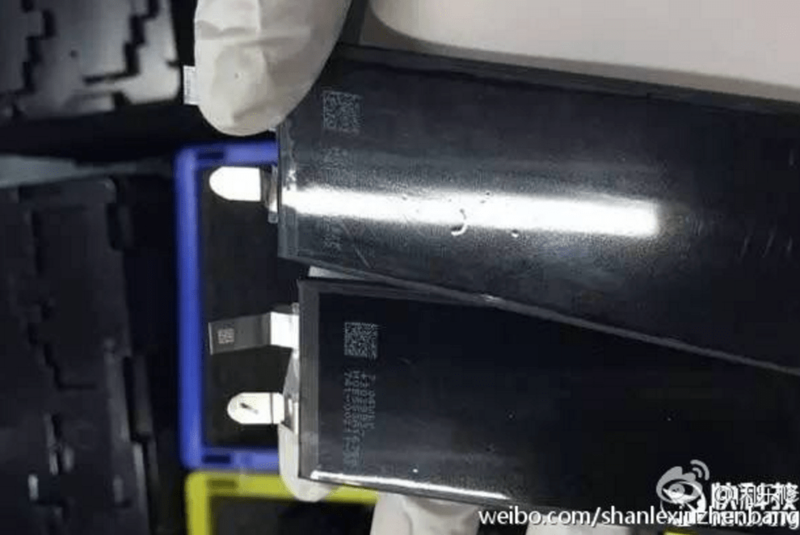 Which is pretty bad but new leaks shows that Apple tries to improve it a leaked photo from China claims to show a 7.04 watt-hour battery pack for the iPhone 7, which would be larger than the current 6.61 watt-hour battery in the iPhone 6S or the 7.01 watt-hour battery in the iPhone 6s Plus. The Weibo report brings us photos, allegedly from the factory floor, showing batteries the iPhone 7 and iPhone 7 Plus. According to their codes they reveal the phones will get 1735 mAh and 2810 mAh capacity batteries respectively. 3). Dual camera- Apple significantly increasing its camera like new 6s 12 MP gives good photos. 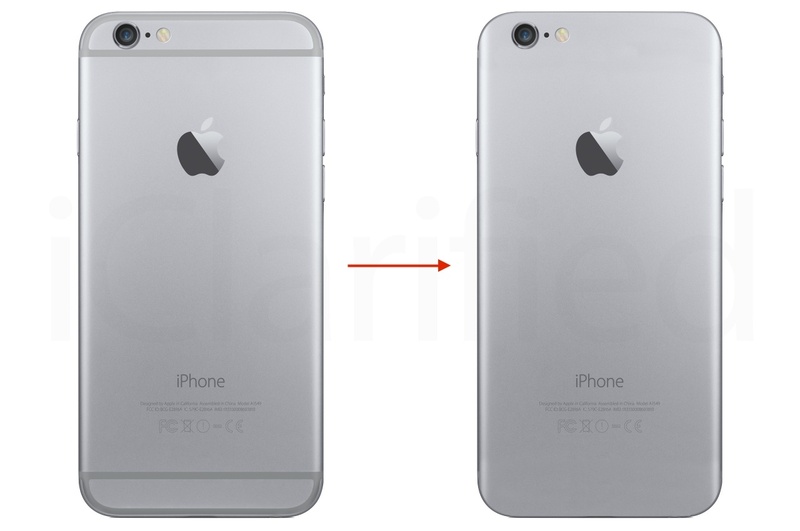 Many leaks show that apple hire team of 800 people to improve iPhone camera so may think sudden improve in camera. Many rumors shows that iPhone 7 Plus may have dual lens camera to detect depth of field which gives nice effect to camera the camera will also feature an optical zoom with 2-3x magnification, optical image stabilization, and a much larger field of view. People are excited what to come many new features. Camera on iPhone 6 bumped at its back looks so annoying it may happen that apple reduce the bump and flat over the surface. 4). Less antenna lines- New photos shows iPhone 7 and iPhone 7 Plus will have less antenna which recently appear new iPad pro 9.7. Which looks very cool feature and give nice design refinement. 5). 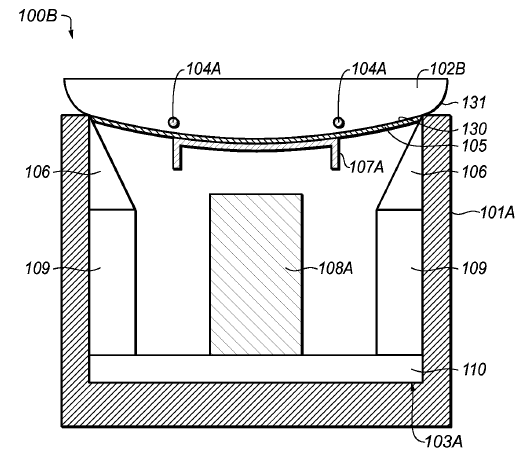 Waterproofing- As iPhone 6s has waterproofing lining rumours suggest that new iPhone will have waterproofing. One and Most important leaks about as its adds IPX7 rating, this is the same as the Apple Watch. This rating means the hardware will be able to withstand immersion in water up to 1 meter for up to 30 minutes. As most anticipated and requested feature among user has now become a reality in iPhone 7 as Water Proofing and Dust Resistance may attract more user toward iPhone. KGI also says that this discussion hit Apple Supply little during launch. 6). New material- Apple patented liquid metal very earlier rumours suggest iPhone 7 will made up of new material that will give it more strength that recent gen iPhone. Revealed Apple A10 chip which power new iPhone 7 and 7 Plus device has finally be revealed last month but not the spec what lies inside that chip. While this year Apple has unlisted Samsung to manufacture their A10 chip so TSMC has 100% manufacturing responsibility. While you can read this down below link. 8). Wireless charging- Losing headphone jack may result in arrival of induction charging this feature adopted by many companies and it is a good feature one leak claim it may contain induction charging. 9). New power house- Since it’s a another years Apple will release its Soc know as A10 chip which have a phenomenal performance with very high efficiency which holds good battery life for iPhone. The iPhone 7 may ship with 2GB RAM, while the iPhone 7 Plus could include 3GB RAM. 10). 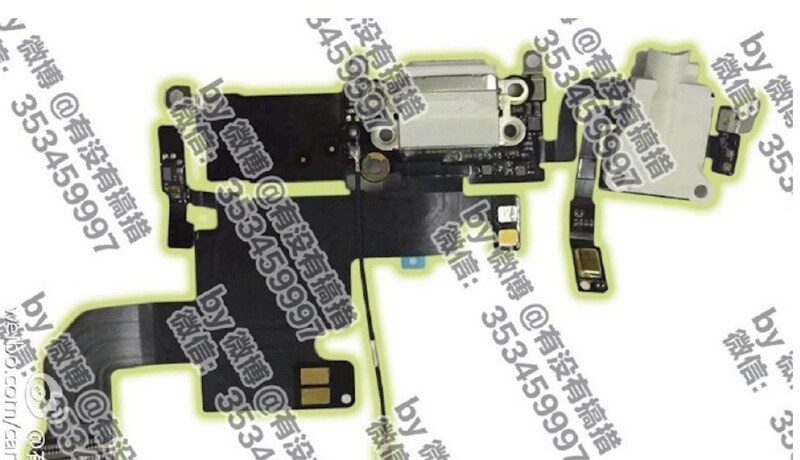 New smart connector- One leak show smart connector found on iPad Pro may arrive in iPhone 7 which opens new way to connect accessories. It’s about many years apple release their base model of 16GB which is not enough to use phone it’s full edge so Apple may increase base model with space of 32GB. iPhone may come in storage option of 32GB, 128GB and 256GB. 12). EMI Shielding- Rumors claim Apple tries improved electromagnetic interference (EMI) shielding techniques in the iPhone 7, with the goal of individually shielding most of the major chips in the device. EMI shields are used in iPhones and all other electronic devices to prevent wireless interference between different products. Improve EMI shield fetch apple to place chipset closed together which helps to get more new hardware. 13). Improve LTE band- Apple may source some LTE modems for the iPhone 7 from Intel, perhaps adopting the Intel 7360 LTE modem and introducing faster LTE speeds on the device. The chip features faster theoretical downlink speeds of up to 450 MB/s, uplink speeds of up to 100 MB/s, and support for LTE category 10 and 29 bands. Apple has to find out solution for removal of headphone jack as leaks are suggesting Apple may provide a converter for Lightning Connector to 3.5mm Headphone jack while other leaks are suggesting about Apple new venture to wireless may lead Apple to Produce AirPod which is wireless solution for current EarPod as AirPod is really nice concept and also look very nice. Yes obviously it’s over a year of release of iOS 9 and this time apple will release its new iOS 10 with new improvement and lots o optimisation. As it arrived on iPhone 6s with 3D touch. THis year may happen that new interface have some compelling deals it in let wait for WWDC 2016 which is held on June. 16). Slimmer design: iPhone always tries to decrease its casing since iPhone this it may happen Apple slim iPhone which makes it hold in hand easily and have good grip. iPhone 7 adds a new color variant to iPhone earlier series as Apple last’s year add Rose Gold to this model while now Apple is ready to introduce new color variants for the device as Space Black. Space black color is same you see in iPhone 5 Black color as is one of the favorite colors of iPhone but Apple has change that color variant to Space Grey which is a good replacement but won’t match that quality. 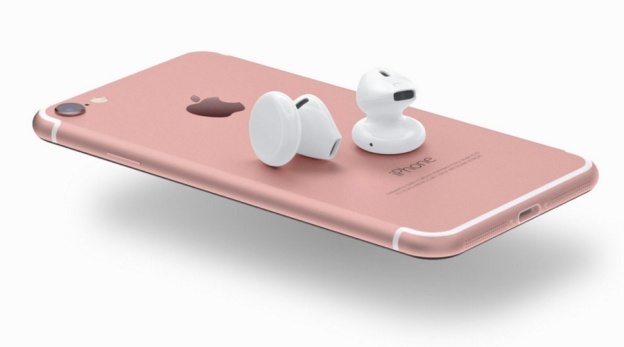 By removing 3.5mm headphone jack Apple has given some other tech to fill its need as leaks are suggesting that Apple may launch new AirPod which is wireless headphones from Apple while other are suggesting Apple may launch new lighting Headphones. On the other hand, Apple may bring dual speaker capability in iPhone makes amplification of Sound more and add the nice effect in sounds. There are many leaks still to come and may we have heard so far but we all are thrilled what to expect from it. But over hope has no end and many we think became possible in coming month as Apple announce in its special event of September.